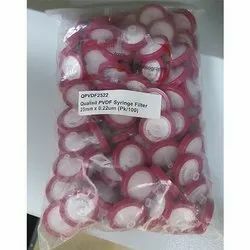 Leading Manufacturer of nylon syringe filters, ptfe syringe filter, pvdf syringe filter, mce syringe filters, syringe filter mce and mce syringe filter 25 x 0.45 from Mumbai. 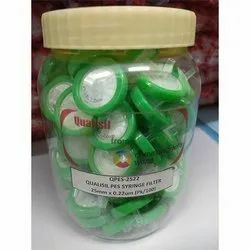 Qualisil Syringe filter are designed for efficient and cost effective rapid filteration of almost any solution prior to analysis, and are optimized for superior flow rates and high thoughout. 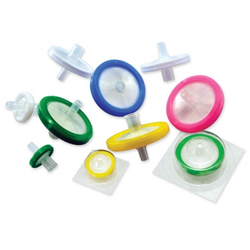 Nylon Syringe Filters are supplied in 13mm id, 25mm id formats in virgin medical polypropylene housings. 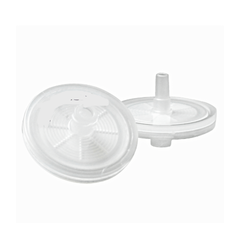 PTFE Syringe Filter is used for filtration of organic-based, highly acidic or basic samples and solvents. 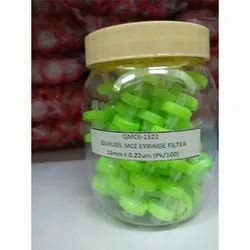 Widely used for chromatography, and for clarification of non-aqueous samples pre-wetting with alcohol when filtering an aqueous sample then flushing with deionized water. 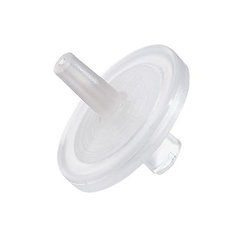 These Syringe Filters are supplied in 13mm id, 25mm id formats in virgin medical polypropylene housings. 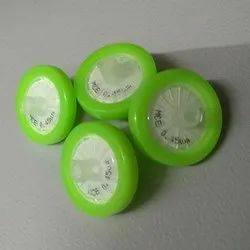 As an univeral hydrophilic membrane, Hydrophilic PVDF is widely used in chromatography for both clarification of aqueous and aggressive organic solution samples. Due to its ultra-low protien and non-specific binding characteristics, hydrophilic membranesare an excellent choice for proteins, peptides and other biomolecules. 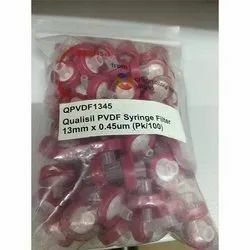 These PVDF Syringe Filters are supplied in 13mm id, 25mm id formats in virgin medical polypropylene housings. 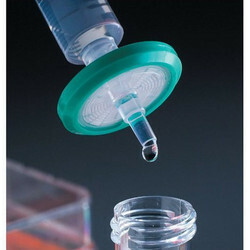 These MCE Syringe Filters are supplied in 13mm id, 25mm id formats in virgin medical polypropylene housings. 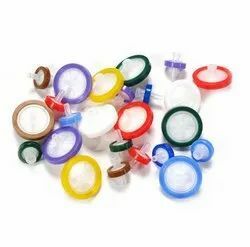 Emboss character; Gear edge for easy handling; color coded for easy telling the filter membranes and pore size. HPLC certified for low levels of UV absorbing extractables. Hydrophilic membrane with fast flow, high-throughput characteristics, with ultra-low protein binding, It is ideally suited for use in life sciences applications. 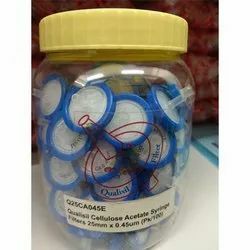 Offers better chemical resistance than cellulose acetate. Recommended for filtering critical biological sampling, tissues culture media, additives, serum and buffers. 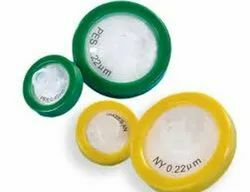 These PES Syringe Filters are supplied in 13mm id, 25mm id formats in virgin medical polypropylene housings.